Don’t allow poor mental health to command your life. Seize control with our therapy services. When your home becomes a battlefield, contact us. We offer couples and family counseling. Our practice helps you get clean and stay clean with our addiction recovery and maintenance therapy. Now Accepting Medical Mutual, SummaCare, Traditional Medicaid, Caresource, Molina, Optum/United Behavioral Health, Paramount Advantage, Impact Solutions EAP & other forms of insurance will be accepted soon. Please check in with our office in case of any additions of Insurance Companies that are not yet listed above. Hope & Wellness LLC in Medina, Ohio, is a private practice for effective in-person and online video therapy. With more than nine years of experience in many different areas of therapy and counseling, we help our clients change their lives step-by-step. Unlike many other private practices, we offer online video therapy to clients throughout Ohio who cannot travel. We accept cash, check, major credit cards and certain forms of insurance. Our mental health and substance abuse counselor, Jessica Seitz LPCC-S, LICDC is a Licensed Professional Clinical Counselor-Supervisor and a Licensed Independent Chemical Dependency Counselor. Jessica earned her Master’s degree in Marriage & Family Therapy through The college of Education from The University of Akron and her Bachelor’s degree in Psychology from The Ohio State University. 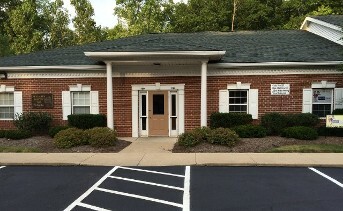 Contact our mental health and substance abuse office in Medina, Ohio, to transform your day-to-day life. Hope & Wellness LLC is proud to be presenting at the 2017 National Rx Drug Abuse & Heroin Summit in Atlanta. Conference runs April 17-20. Jessica Seitz and Samantha Jackson of Hope & Wellness will be presenting on April 19th and are excited to work towards being part of the solution!